SPECIAL DEAL - Usually 59.99, today just 29.99 - Save £30! 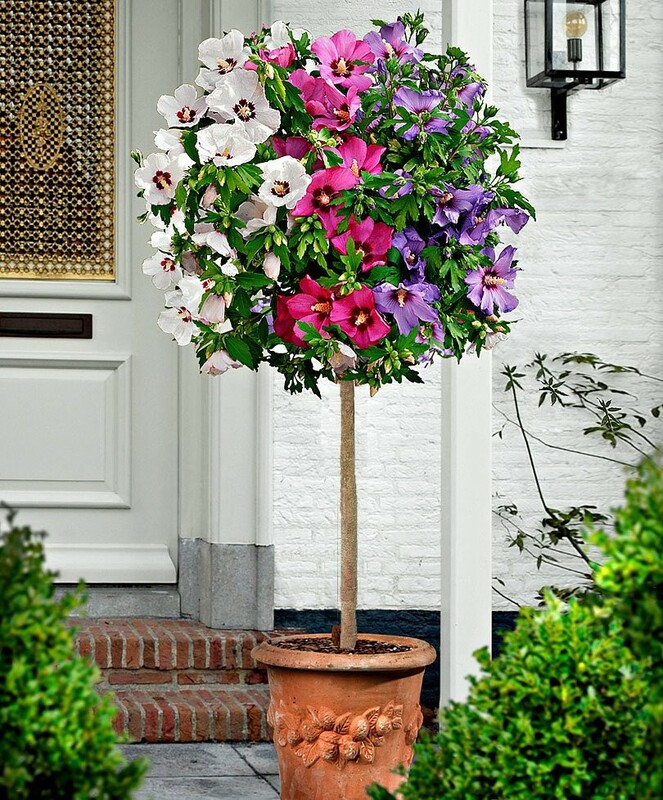 Our Extra Large Tricolour Hibiscus trees are really a true beauty! 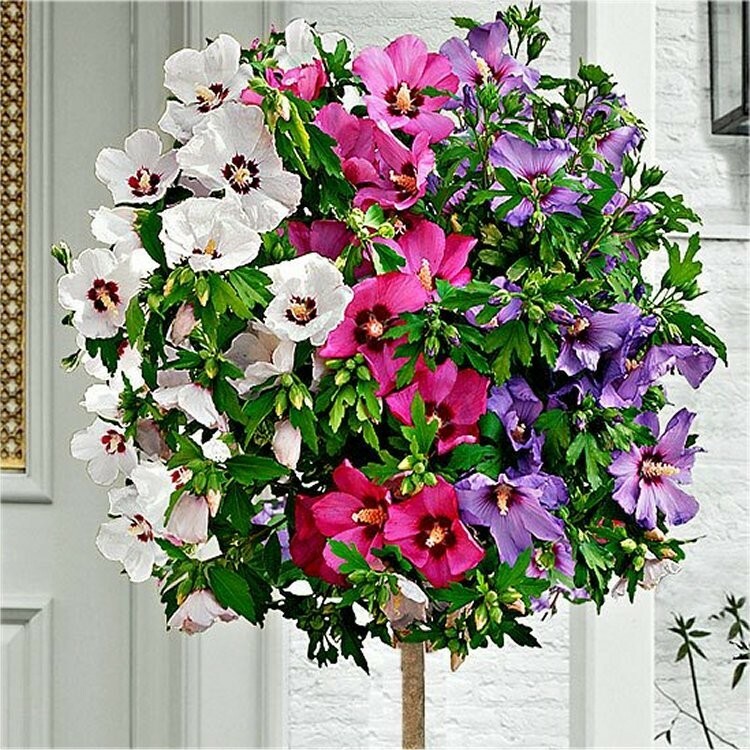 To create the special effect of three colours on one tree, three varieties are skilfully grafted in the nursery as they are grown creating an unusual upright tree with a straight stem topped with branches that each carry different colour flowers. The head of branches that is formed will carry the large blue, pink and white flowers all at the same time. This effect of multi-colour blossom above the clear stem makes these a must-have in your garden, on your patio, or on your decking. The Tricolour Hibiscus is undoubtedly an eye catcher. Tricolour Hibiscus is a summer and autumn bloomer and is definitely one of our more choice varieties. You will receive a well established multibranched heavy grade young tree, with an overall height of around 130-160cms (4.5-5.5ft) tall in an approx 10 litre container.